Edgardo Miranda-Rodriguez is a writer, art director, and owner of Somos Arte a production studio located in Brooklyn New York. Miranda-Rodriguez is known as a Nuyorican (Native Puerto Rican New Yorker) within the Latinx community, and his Latino identity has served to influence much of his own work within the comic industry. In Guardians of Infinity #3, starring Groot and Ben Grimm and co-written by Darryl DMC McDaniels, Miranda-Rodriguez helped infuse the popular character with Afro-Puerto Rican mythology that connected back to the Ceiba tree, introduced an Afro-Boricua grandmother, and introduced a Spanish speaking Groot. 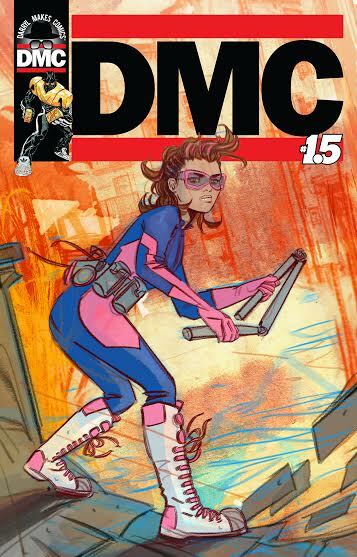 Later, Miranda-Rodriguez would introduce fans to LAK6 under DMC comics–where Miranda-Rodriguez operates as Editor-in-Chief–a young Puerto Rican teenage superhero set in the 1980s. LAK6, a.k.a. Leticia Lebron, was inspired by Lady Pink, a real life Ecuadorian graffiti artist. Miranda-Rodriguez’s current project, La Borinqueña, is also deeply rooted in the Puerto Rican cultural identity as well the current Puerto Rican political climate. 2016, Somes Arte, LLC. All Rights Reserved. 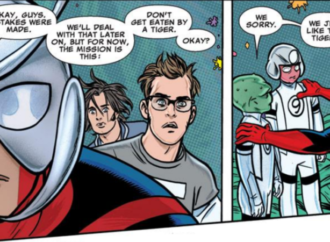 Currently, Latinx representation in mainstream comics ranges greatly. There’s a wide misunderstanding from readers to creators on what it means to be Latinx and how to depict Latinx characters in comics. Miranda-Rodriguez is a much needed voice within the community and industry regarding positive depiction and understanding of how to present and develop Latinx characters. As a fellow Boricua, there’s a personal stake in seeing positive Latinx representation in comics and in seeing more Latinx voices within the comic book industry speak up about Latinx representation and be given the opportunity to better represented as individual cultures and identities within the medium of comics. In our interview, we discussed Miranda-Rodriguez’s early community activism, his early career, the current climate of Latinx representation in comics, and how La Borinqueña came to be and what she represents for the Puerto Rican community and cultural pride. How did you get started in writing comics? Did you feel there was a lack of Latinx representation in that medium? I started making comic books as a child in the 1970s for my friends. It wasn’t until I became a community activist in my 20s, while working for El Puente in Williamsburg, Brooklyn in the 1990s, that I linked my activism to my love for comics. COPYRIGHT 2014-2015 DARRYL MAKES COMICS, LLC. ALL RIGHTS RESERVED. In the early 2000s, I curated two exhibitions for Marvel: 1) Santerians: The Art of Joe Quesada and 2) Marvelous Color. I decided to curate these art exhibitions because I wanted to celebrate diversity in mainstream comics. Then, three years ago, I co-founded the publishing company Darryl Makes Comics with Rock & Roll Hall of Fame inductee Darryl DMC McDaniels. When I finally had the chance to tell original stories and hire artists, I made the concerted effort to hire people of color and to create and develop new characters of color. Via Darryl Makes Comics I developed LAK6, a Puerto Rican graffiti artist/martial artist. 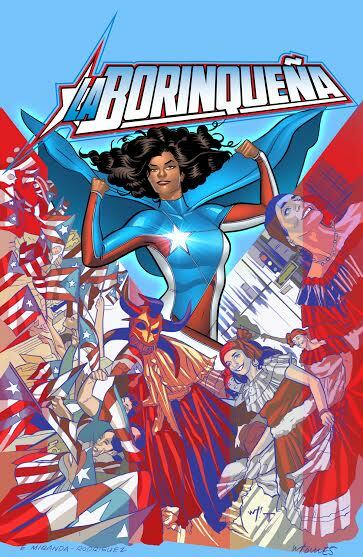 This year I decided to create La Borinqueña, because I wanted to raise awareness on Puerto Rico’s debt crisis and environmental crises. I wanted her to be original, not a derivative. Most importantly, I strongly felt she need to be patriotic, because Puerto Ricans needed to be reminded of their resilience, their innate strength. She’s a brand for social justice and empowerment. What are some of the biggest missteps you feel non-Latinx writers make when writing Latinx characters? How do you feel La Borinquena emphasizes Latinx culture in a positive way? 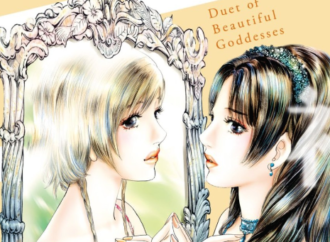 Quite often to introduce diversity, publishers take characters and reintroduce them as people of color. They do so because these characters are brands. Corporations often change their spokespeople for their brands. Now publishing companies are doing the same. Spider-Man, Captain America, Superman, Iron Man–they’re all very successful corporate brands. 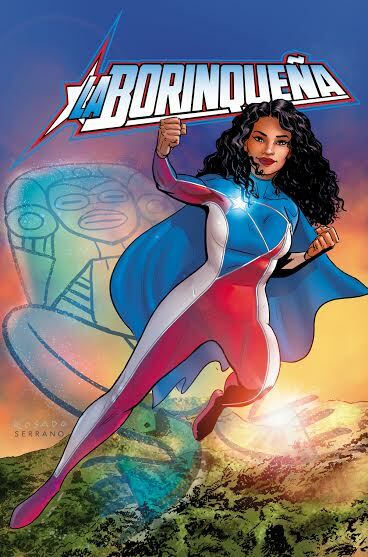 La Borinqueña is an independent brand, born out of the current crises affecting Puerto Ricans on the island and the diaspora (Orlando shooting). My character is rooted in social justice that we can relate to and have to become informed about. 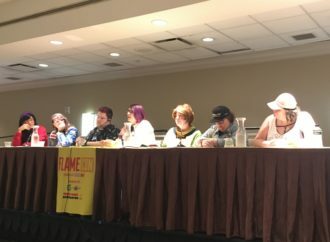 What sort of changes would you like to see in the comic book industry regarding Latinx representation? Can you tell me about what originally inspired the character of La Borinquena? How would you say she’s a representation of the Puerto Rican cultural identity? After my Marvel debut, Guardians of Infinity #3 co-written by myself and Darryl DMC McDaniels, I started to receive a lot of buzz for creating Abuela Estela. This character was an Afro-Boricua grandmother who as part of Marvel’s canon linked Groot to the Ceiba tree in Ponce, Puerto Rico that is over 500 years old. During much of the media hype around this character, I was approached by the office of the Puerto Rico Federal Affairs Administration (PRFAA) in NYC. Rosa Cruz, who works for PRFAA, introduced me to various Puerto Rican institutions like the Center for Puerto Rican Studies (CENTRO), Loisaida, Inc., and the National Puerto Rican Day Parade (NPRDP). I’m producing an event for CENTRO and curated Guardians of Loisaida for Loisaida, Inc. exhibiting original artwork from my Marvel debut that started this all. NPRDP offered me a table at a small festival they were doing, but I wanted to do something new, something different. I sat in my studio and started drawing La Borinqueña. I wrote a backstory for the character then consulted with my madrina, Iris Morales, a member of the Young Lords Party, then submitted a licensing proposal to NPRDP. 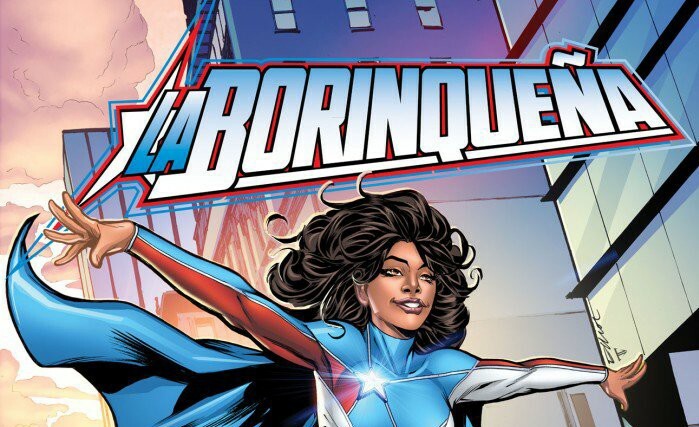 I wanted the parade to license La Borinqueña for their event, and they loved the idea. After the parade, I started developing a production team to help me make this into a full length comic book under my studio Somos Arte. I gathered a team of professional Puerto Rican artists to work on this book with me, which include cover artists Elliot Fernandez (Dynamite, Archie) and Juan Fernandez (Marvel, DC). 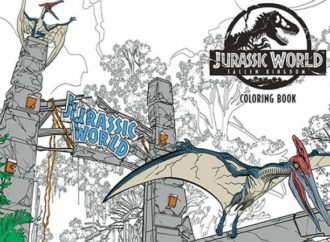 Juan Fernandez also is working with me on the interior pages as our colorist over illustrations by Emilio Lopez (Marvel, DC). 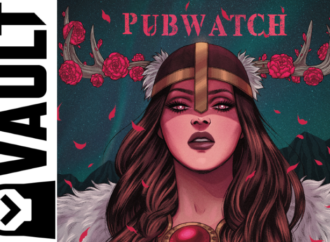 I have variant covers by Marvel/DC artists Rags Morales, Emilio Lopez, Gustavo Vazquez, Chris Sotomayor, Will Rosado, Felix Serrano, Wilfredo Torres, and Juan Fernandez. 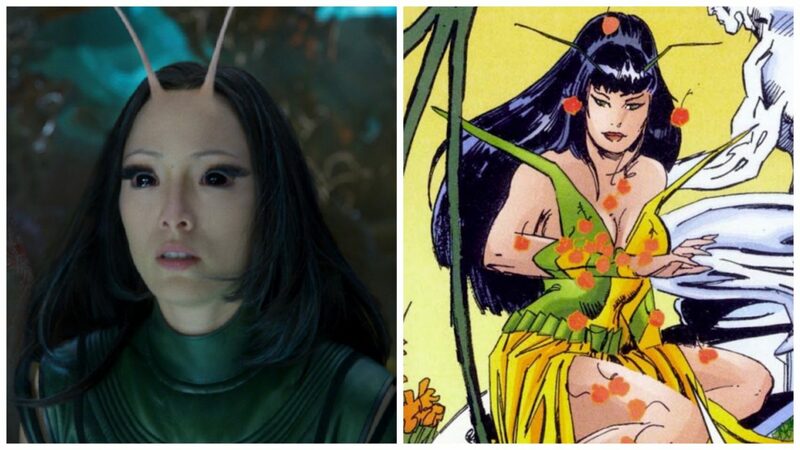 As a comic book, she represents the best talent that also happens to be Puerto Rican. As an icon, she stands for hope and inspiration. Puerto Ricans love their flags. Love their culture. I used the iconography of both the Puerto Rican and Grito de Lares flag to come up with a costume that evoked patriotism. I also made her an Afro-Latina to show the world the beauty in our diversity. Can you tell us more about the NPRDP? 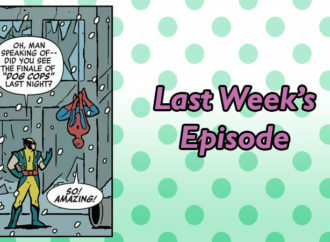 How does it feel to have the NPRDP license La Borinqueña? It’s important to note that Puerto Rico has had a history of economic highs and lows. My grandfather, Herminio Rodriguez, his wife Laura and seven children left Puerto Rico in the 1950s after the petrol chemical industry collapsed when the United States allowed foreign oil to be imported. They moved to New York City, like hundreds of thousands of Puerto Ricans, and started new lives. Back on the island, Puerto Rico started a new booming industry in 1979, pharmaceuticals which lasted until 2006. However, it was under Governor Pedro Rosello that many of the Puerto Rico’s state-owned companies, like the Puerto Rico Telephone Company (PRTC), were sold under his Telecommunications Act. In 1996, as a young activist in New York City, I marched in protest of this act in the Puerto Rican Day Parade alongside my friend, Speaker of the New York City Council, Melissa Mark-Viverito, the first Puerto Rican to ever hold this title. She and I along with all the other young people marching with us were thrown out of the parade for our views. The Telecommunications Act would set a chain of events in motion under Governor Rosellos’s leadership that would inevitably lead to 2006 when all the pharmaceutical companies left Puerto Rico when they had to start paying federal taxes. This would now lead to the largest migration of Puerto Ricans in the islands history. Over 250,000 professionals and workers have been leaving Puerto Rico over the last five years alone. This climate eventually lead the government to sell bonds to try to raise money. Bonds that had three tax breaks, and these bonds were bought mostly by hedge funders at 30% the actual cost, yet valued at 100% thus leading to the debt crisis Puerto Rico is now in. 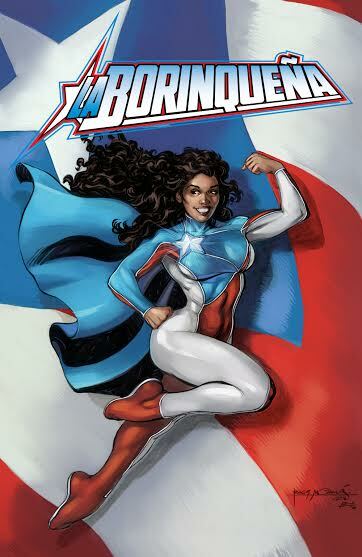 My comic book, La Borinqueña has given me the platform to raise awareness and has brought me even to the office of Congresswoman Nydia M. Velazquez, the first Puerto Rican woman elected to the House of of Representatives. She met with me personally to educate on the current status of Puerto Rico and the work she’s fighting for on the floor of congress. Twenty years later, I’m marching in the Puerto Rican Day Parade alongside my family–my wife, two sons, and Goddaughter. I had the idea of also having La Borinqueña march in real life. I asked UC Berkeley Law School graduate and activist Stephanie Llanes Martin to appear alongside my family and the NPRDP Rising Scholars, recipients of the annual NPRDP scholarships. Based off my costume design, I hired a costume designer from Puerto Rico to sew a costume for Stephanie. He bought fabrics coincidentally from mine and Stephanie’s hometown of Santurce, Puerto Rico. Once we marched up 5th Avenue, my character became a reality for children and their families. We came down from our float to children with arms up, waiting to embrace La Borinqueña. It was an affirmation. This is why children need heroes that look like them. It shapes their psyche at a young age and empowers them. You spoke about La Borinqueña and her story is about raising awareness over Puerto Rico’s current debt and environmental crisis. Would you say hers is a political story or a story with political elements? My editor, Matthew Barbot, winner of the 2016 Kevin Spacey Foundation award for creative writing, once told me that the mere fact that you are writing this story is a political statement. 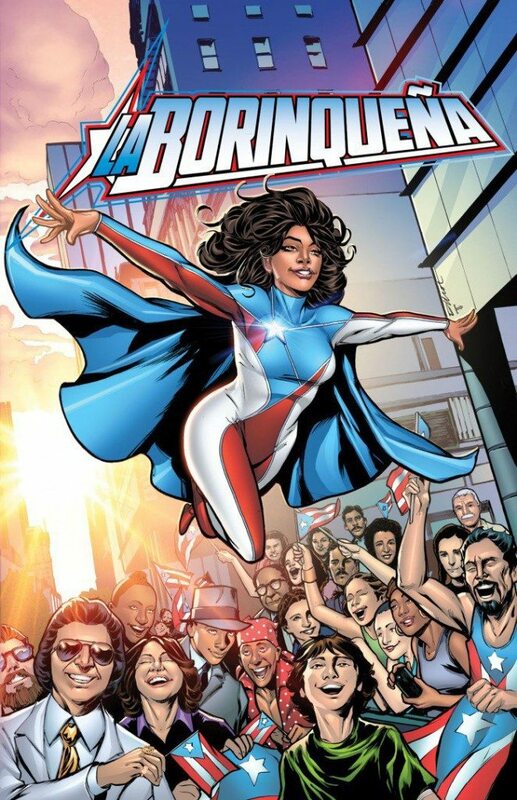 La Borinqueña is international. She isn’t fulfilling a diversity quota. She’s coming from us, for us. She’s also for everyone, as the issues affecting Puerto Rico and other developing nations are human rights issues. Social justice is real, not just on the imagination of the artist. For new fans who have never picked up a comic book before, or are looking to buy La Borinqueña where can they find a copy? I encourage people to follow me on Twitter @MrEdgardoNYC and on Facebook and our website.